Classic Les Paul looks that over-deliver. The Les Paul Deluxe Player Plus has been designed for avid players who are looking for an instrument that will over deliver on practicality. Stylish, classic Les Paul looks are coupled with a satin finish and rounded neck profile for unparalleled comfort and playability. A richlite fingerboard and cryogenically treated frets provides the Les Paul Player Plus with incredibly precise tones and smooth playability. The Deluxe Player Plus comes loaded with mini-humbuckers for classic Les Paul tones with extra chime on the high end when needed. 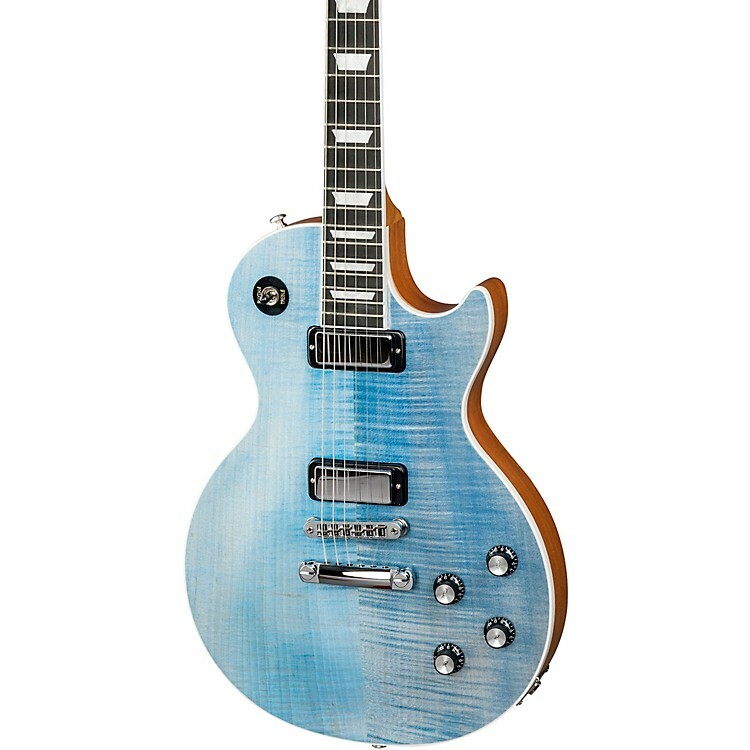 Style and playability with comfort—order your Les Paul Player Plus now.